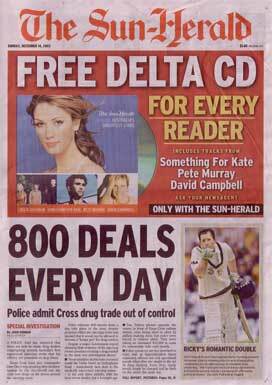 The Sun Herald gave away a free Delta cd with there newspaper. See my Discography section for more info. That was the same day that the Sunday Telegraph gave away 10,000 Predictable cds.